Despite a traumatic injury, motivational speaker Emeka Nnaka inspires young people to shift perspectives and take charge. Emeka Nnaka volunteers his time at Youth Services of Tulsa, working with at-risk youth. If you live in Tulsa, you may have seen Emeka Nnaka, a motivational speaker and advocate for those with physical challenges. 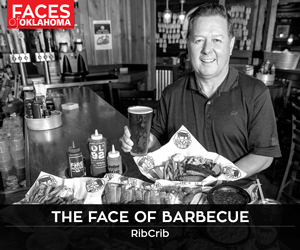 The Georgia native and Tulsa transplant (he attended Oral Roberts University) seems to pop up everywhere, and his larger-than-life personality and stature make him difficult to miss. Wherever he is, he’s usually right in the middle of the action – sharing his thoughts, an endearing smile and a few laughs with those around him. Nnaka uses these abilities – and a master’s degree in human relations with a focus in clinical mental-health counseling – to inspire people. As a youth specialist at Youth Services of Tulsa, he covers topics like emotion management and instilling the importance of education and lifelong learning. His passion is helping young people improve their points of view. Nnaka knows about shifting perspectives. 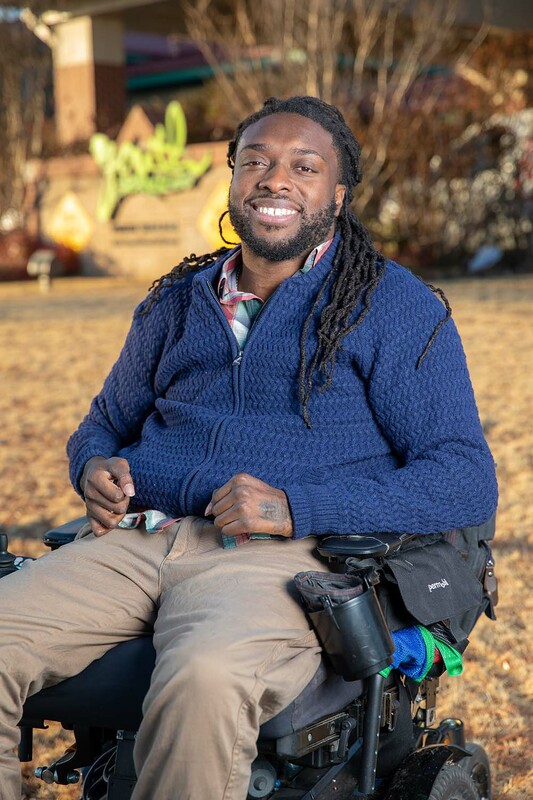 During a semi-pro football game in 2009, at age 21, Nnaka sustained a spinal cord injury that radically changed the trajectory of his life. Paralyzed from the chest down, he has instant credibility with young audiences when he discusses change. Nnaka, who appeared on the Ellen DeGeneres Show in November, believes in hope … but not just the ephemeral feeling that might come to mind. He can define it. Thanks to the Hope Research Center at the University of Oklahoma-Tulsa, where he did his graduate work, Nnaka and others can research, measure and work to increase hope in individuals who obviously need some. According to Nnaka, the basic components of hope are attainable goals, pathways to reach those goals, and the personal willpower or grit to achieve them. Nnaka, practicing what he preaches, has goals this year that include expanding his public speaking and individual and small-group coaching, and continuing to work toward his counseling license. A book with a late 2019 release is in the works, too.